Running in Auckland, New Zealand. 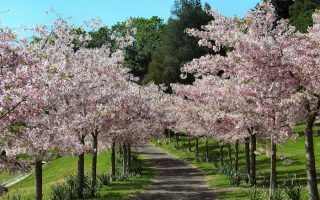 Best routes and places to run in Auckland. 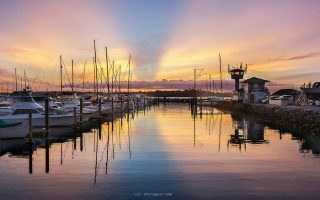 Situated between two bays on the North Island of New Zealand, Auckland is a Beta World City known for its culture and commerce. It’s geographic location on a rainforested, volcano-speckled isthmus, make it a world-class destination for business or pleasure. Our guide to running in Auckland incorporates the city’s unique natural setting, with harbors on the Tasman Sea and the Pacific Ocean. Auckland is a great city for running. With pristine city parks, beautiful beaches, and paved paths winding through skyline and coastal views, Auckland offers running routes of all stripes and colors. The highlights of running in Auckland include several paths along the water and beaches such as Tamaki Drive and Pakuranga Pathway, a run up the dormant volcano of Mt. Eden, Auckland Domain, and several routes in the bush (wooded trails). Runners seeking an extra dose of adventure can retreat into “the bush” for elevation gains through seemingly enchanted forests, where we feature several routes. Buses are the main form of public transport in Auckland, though there’s an extensive ferry system, and rail that goes to the suburbs. Most of our central Auckland routes can be accessed without a car, though you’ll need one to make it out to the bush routes. 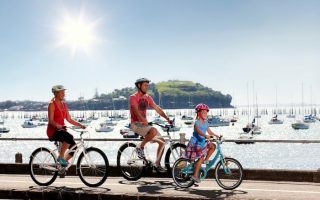 The pristine walking and cycling path along Tamaki Drive from Judges Bay to St. Heliers delivers striking views of the city skyline from across the bay as well as sections of sweeping beach. It's 8.1 km one-way, with frequent buses between the two points. This quick, centrally located run is a favorite of local business people who want to squeeze in a lunchtime jog. 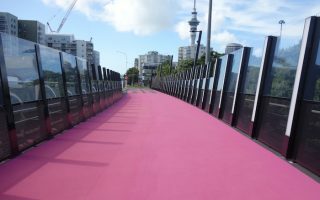 It’s also favored by night runners for the lights on the brilliant hot pink Nelson Street Cycleway, and the Viaduct is a great place to watch the ships come and go. We love this popular loop through Auckland Domain — which is the equivalent of Auckland’s Central Park. 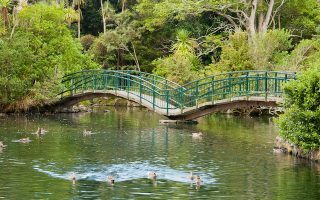 It traverses all of the park’s best features, including a look at The Auckland War Memorial Museum, a quaint pond, and a run down Lover’s Lane. The wooden walkway and bridge around Orakei Basin makes for a fun, quick run with great water views the whole way. Can be combined with Tamaki Drive or Auckland Domain. 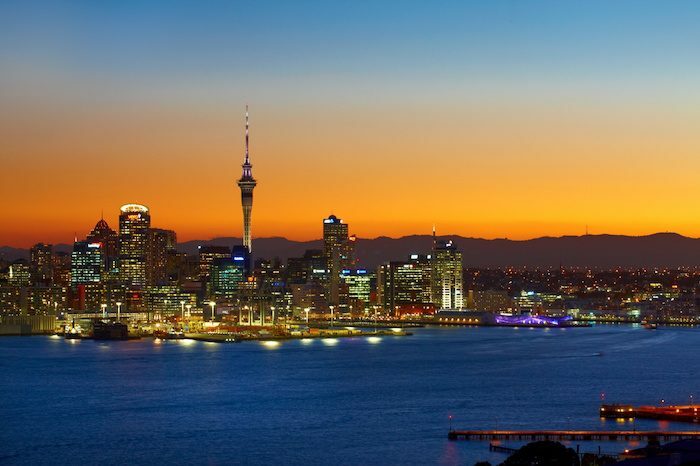 Auckland’s iconic Sky Tower has arguably the best views in the city, but if you prefer surveying the landscape in fresh air, a run up the summit of Mt. Eden is just the ticket. These lovely shared use paths along the peninsula will take you from Pakuranga to the point of Buckland's Beach. Water views much of the way. The whole path is 13.6 km one-way. A bus runs between the two points, making a long one-way run possible. 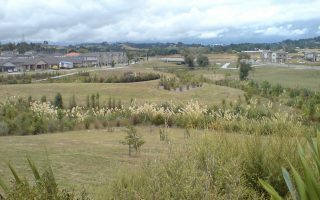 Cornwall Park is home to Auckland’s famous One Tree Hill, and in fact, a number of other hills which make this seemingly easy park run a pleasantly surprising challenge complete with rolling farmland. 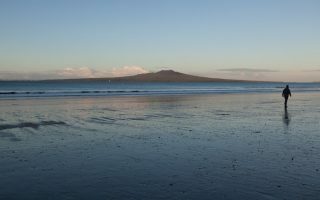 If sand running is your jam, don’t miss Takapuna Beach, a lovely stretch of flat sand with unbeatable views of Rangitoto Island and the Hauraki Gulf. A great run on the southern point of Auckland's North Shore peninsula, featuring waterside roads, the North Shore Reserve, and a jaunt up Mount Victoria. Great views of Torpedo Bay and the Auckland skyline. 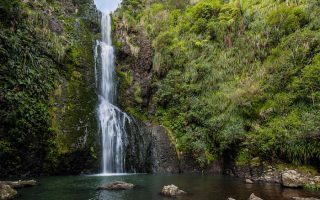 The trail to Kitekite Falls isn’t a long run, so we’ve paired it with a road run out to the Tasman Lookout, making for a picturesque tour of Piha (a village about an hour outside of Auckland). Need to run away from city life? 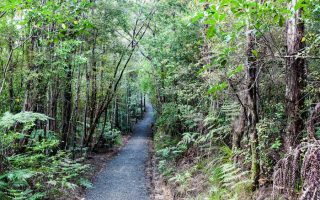 The Okura Bush Walkway, in Auckland’s East Coast bay, is a tough hilly track through the bush perfect for a longer adventure. 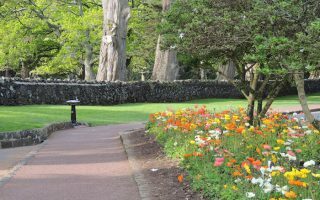 Barry Curtis Park is home to Parkrun, a free group 5k held every Saturday morning. Western Springs Park is home to Parkrun, a free group 5k held every Saturday morning. 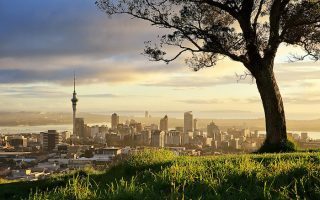 With record levels of sunshine and relatively mild temperatures year-round, Auckland is a great running destination in any month. The subtropical climate experiences warm humid summers and mild damp winters. Average high temps in summer (January) are 24C (75F), with cool-ish nights. In winter, average high temperatures are 14C (mid-50s), and lows in the mid-40s, so you’ll need a layer. Rainfall is plentiful year-round, especially in winter. Locals say the best part of the day for a run is early morning, before the sea breeze kicks up. 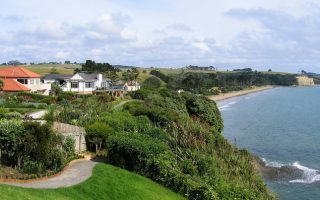 Auckland has a few neighborhoods to choose from when it comes to lodging. Central Business District: Queen Street, Viaduct Harbour, and nightlife. Ponsonby: hip shopping, eateries, and nightlife on Karangahape road. Parnell: fancy Victorian neighborhood with high class restaurants. Newmarket : Auckland’s shopping center. Devonport : Beaches, views, cafés, shops and galleries.